Remember your long lost aunt? The mere suspicion that you might have one of the genes associated with a health risk factor now makes you a target for screening and government monitoring. Health authorities in the UK announced the first national testing program that calls for anyone suspected of possibly having a gene associated with familial hypercholesterolemia to submit to blood tests. It also plans to institute a national surveillance system to identify suspected individuals. Positive results will be used to identify people for counseling about leading a healthy lifestyle and for prescription statins, said Dr. David Sullivan, president of the Australian Atherosclerosis Society, who is recommending the program for Australia, too. It’s all part of the new guidance, “Identification and management of familial hypercholesterolemia” issued on Wednesday by the National Institute for Health and Clinical Excellence (NICE) in the UK, defining the contractual responsibilities for doctors with the National Health Service. As reported in the Times, Dr. Dermot Neely, a consultant at the Royal Victoria Infirmary in Newcastle, said that the new guidance would mean that, in the future, there would be no excuses for GPs to not treat these patients ‘properly’. More specifically, the Guidance states anyone with a family history of heart disease should be tested for this very rare condition, and all children with one parent affected with FH should have a DNA test for the family mutation and blood tests for LDL-cholesterol by the age of ten years. Subsequently, cascade testing using DNA tests and LDL-cholesterol measurements should be done on all biological relatives, including the first, second and, when possible, third-generations. The use of a national surveillance system is recommended to enable a “comprehensive identification of people affected by FH.” Thereafter, every person identified with FH would receive regular, structured reviews at least annually. Just imagine: Your aunt has high cholesterol and you and your entire family are flagged by government health officials for testing. According to Dr. Neely, statins taken for a lifetime can lower risk for heart disease to normal levels and save thousands of lives. “We may need to start treating in childhood,” he told the Times. The grave concerns with these presumptions are that while statins and other cholesterol-lowering drugs may lower cholesterol, there is no evidence that they might offer benefits in improving health outcomes when started in childhood. Nor have any studies demonstrated the effectiveness of cholesterol-lowering for the primary prevention of cardiovascular disease, which is the reason for starting them in young people. More worrisome, no one knows what the risks are for young people taking these drugs for life because all the research to date has been small, short-term studies. The safety and effectiveness for cholesterol-lowering drugs in pediatric patients have not been established, according to the U.S. Food and Drug Administration. The new NICE guidance, along with prescription medications, recommends all identified people be advised to make lifestyle modifications — diet, exercise and smoking cessation — for the primary prevention of heart disease. “Healthcare professionals should offer people with FH who are overweight or obese appropriate advice and support to achieve and maintain a healthy weight in line with NICE guidance on obesity,” the guidelines added. Of course, the flaws in these aspects of the guidance are that FH is a genetic condition and not caused by or cured with lifestyle modification or weight loss. Nor have such behavioral changes been shown to reduce cardiovascular or all-cause mortality. Not everyone supports broad DNA testing. Molecular geneticist Professor Ron Trent from the University of Sydney was reported by the Australian Broadcasting Corporation as saying “some people may not want a DNA test.” Not everyone wants to know they could be at risk of getting a disease. Professor Trent added that screening is difficult because every family has a unique mutation in the affected gene that would have to be identified. It’s not as clear cut as the public might believe. He also cautioned that there should be safeguards put in place first, to ensure against genetic discrimination. As professor David Weisbrot of the Australian Law Reform Commission said when speaking on disability discrimination, we don’t want to create “a genetic underclass” in Australia. He said it’s important people are employed on their ability to do a job, not on some possibility that the person might develop a condition in future. 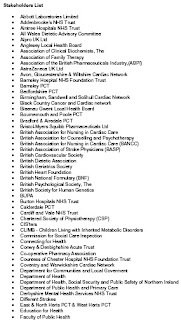 The extensive list of stakeholders who helped develop the new NICE guidelines are below. Without looking at the calendar, healthcare professionals know it’s Tuesday by the Medscape journals in their inboxes. Medscape’s online journals have recently become the topic of debate among medical professionals over appearances of bias in its editorial content, coverage of research and health policy, and continuing medical education courses. This controversy would likely never have been raised among doctors if the content hadn’t sparked concerns because, as we know, funding sources alone don’t necessarily mean the science itself and interpretations are flawed. However, unless medical professionals take the time to vigilantly compare content to the actual research findings and have the know-how to recognize fair tests, the lack of balance in any publication can be easily overlooked. It would be too easy to write a weekly “Medscape Tuesday” column — as it became a redundant exercise years ago to itemize its problematic content. But, given its recent assurances of a new rigorous editorial process and refined standards, a column is warranted today. When you think about fighting an epidemic what comes to mind? Influenza? Diseases of underdeveloped countries? Possible acts of terror such as smallpox? At a recent meeting of the Robert Wood Johnson Executive Nurse Fellows, Margaret Grey, DrPH, RN, FAAN, dean of Yale College of Nursing, noted researcher and a RWJ Executive Nurse fellow, called on her colleague fellows to begin to fight the epidemic of obesity. The Call to Arms went on to report that “obesity can be defined as a body mass index rating of greater than 25” — [thereby, creating a new definition of obesity that now also includes every “overweight” person in the country]. The familiar statistics and chartsmanships to declare an obesity epidemic came next, followed by a list of obesity-related health risk factors, which were said obesity could cause. And finally, the “staggering financial costs” of obesity were cited. Public health officials have been able to begin to shift the conversation about obesity from one of solely an individual health concern to an issue that needs to be considered as a public health priority. What Can a Nurse Leader Do to Join the Fight? First, it is important for nurse leaders to recognize the issue...our silence is killing our patients and staff... there are some simple things that every nurse can do to help in the fight against obesity. The important thing is to do something! Clinically, nurses must find ways to have conversations with clients about weight and healthy lifestyles in ways that do blame the victim. This suggestion epitomizes the beliefs and stigma of obesity lamented by one of the country’s foremost obesity researchers, Dr. Jeffrey M. Friedman, M.D., Ph.D., head of the Laboratory of Molecular Genetics at Rockefeller University in New York, who wrote that the “simplistic notion” obese individuals can ameliorate their condition by simply eating less and exercising more is “at odds with substantial scientific evidence illuminating a precise and powerful biological system that maintains body weight within a relatively narrow range.” Yet, obese people continue to be victimized by these prejudicial beliefs, he wrote, while the known science on the natural diversity of human sizes and shapes continues to not find its way into the minds of the public and even a significant proportion of the scientific community, who believe their personal experience of gaining and losing a few dozen pounds with diet and exercise translates to an obese person simply needing to apply that several more times to become a different body type. Our body shapes and sizes are, to the most significant extent, genetically determined with a surprisingly narrow range of weight under our long-term control. “The heritability of obesity is equivalent to that of height and greater than that of almost every other condition that has been studied — greater than for schizophrenia, greater than for breast cancer,” he wrote. A healthy lifestyle and simply eating healthfully will not result in everyone losing weight and having a BMI between 19-25 because a “tremendous body of research employing a great variety of methodologies has failed to yield any meaningful or replicable differences in the caloric intake or eating patterns of the obese compared to the nonobese,” as professors and clinicians David Garner, Ph.D., and Susan Wooley, Ph.D., concluded in their classic review of 500 studies on the long-term efficacy of weight loss interventions and the biology of weight regulation. 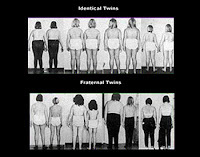 The renowned clinical research of doctors Michael Rosenbaum, Rudolph Leibel and Jules Hirsch at the Laboratory of Human Behavior and Metabolism at Rockefeller University, for example, found nondieting fat and lean people eat and expend the same amount of calories per unit of lean body mass and that the proportions of protein, carbohydrates and fat do not determine (cause) true obesity, either. While the first half of Ms Lucey’s article left out any actual obesity research, just as little evidence was provided to support the solutions proposed in her Call to Arms. She said all nurse leaders need to address the toxic environment at workplaces and think about changing the social norms of their organizations to bring the focus on healthy eating and lifestyles, from fruits at meetings to healthy vending machines. “I heard a great suggestion of having signs in the parking lot showing the calories burned by parking further away from the entrance,” she wrote. Disappointingly, this was the feature article in a nursing journal, yet it bore little resemblance to a thoughtful review of evidence-based clinical care that would serve nursing professionals. Absent was fact-checking by its author or the Medscape editorial board — as evidenced by the reality that not one obesity-related claim or solution was supportable with sound, objective evidence. Nor was there any effort made to balance its emotional language over a national obesity crisis with a careful, reasoned examination of the evidence, weighing the effectiveness and potential harm and costs of proposed solutions. The U.S. Preventive Services Task Force, for example, found no evidence in more than forty years of research to support the effectiveness, or conclude a favorable benefit-risk ratio, of healthy diet and lifestyle interventions; and even RWJF has admitted there’s no evidence for its obesity initiatives. Yet, there was no mention of those balancing facts. Whenever such problematic clinical information is encountered, disclosure statements and potential biases come into play as we try to gain a better understanding of an issue. Sadly, the author described herself as a fat person who “fight[s] the bathroom scale on a routine basis,” and yet views obesity as the fault of one’s personal behavioral and dietary failings, and a health crisis. Obesity stakeholders have widely permeated fat advocacy communities and helped advance concerns that fat is deadly and caused by poor lifestyle choices, and rally support for their healthy fruits and vegetables, preventive wellness and healthy lifestyle management, and community Active Living by Design initiatives as being imperative for their health. There are no disclosure statements or accountability required on virtual communities, even true identities don’t need to be revealed, better enabling social media marketing. Most medical journals, however, do require their authors to disclose potential interests. Interpersonal and communication effectiveness — The ability to translate a strategic vision into compelling and motivating messages. Risk-taking and creativity — The ability to transform both self and organization by moving beyond traditional patterned ways of success. Self-knowledge — The ability to understand and develop the self in the context of organizational challenges, interpersonal demands and individual motivation. Inspiring and leading change — The ability to inspire, structure, lead and effectively implement organizational change in an inclusive way. 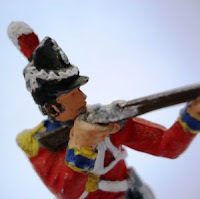 Strategic vision — The ability to connect broad social, economic and political changes to the strategic direction of institutions and organizations. The recent controversy surrounding Medscape and questions if it is working to shape clinician’s practices and public policies, or provide neutral, evidence-based education would appear well-founded. Last month, Medscape Nurse featured an article lobbying for a National Nurse and press every nurse to enlist in nurse corps and national service, also to support the Surgeon General’s mission. For this paper, the authors reviewed child care legislation across the country to see how many had adequate child obesity prevention**** regulations, which they defined (with no supportive evidence for safety or effectiveness) as: require childcare facilities to make only water available and frequently encouraged at regular intervals, limit sweetened drinks and fattening foods, promote breastfeeding or require breastfeeding agreements to be on file, regulate screen time, and require specific number of minutes of physical activity per day. The authors stated that family home-centered childcare regulations tend to be less stringent than centers and opined that “states should provide the same regulations for both family child care homes and centers.” The article concluded that the “mere existence of a regulation, however, does not necessarily ensure compliance or enforcement” and called for the need to explore policy approaches on a federal level to address the obesity epidemic in children. “Poor Coordination, Physical Function in Childhood Linked to Adult Obesity.” This CME/CE course covered the recent study published in the British Medical Journal. A close examination had revealed the authors found no tenable correlation at all between clinical measures of physical function during childhood and adult obesity. The Medscape authors then hypothesized, with no clinical evidence or credible biological plausibility, that fat people have impaired brain function: “Obese adults may have a history of lower levels of cognitive function in childhood, suggesting that neurocognitive development and obesity may share common pathways reflecting early biological processes relevant to neurologic function. Alternatively, adult obesity and tests of cognitive function are both directly affected by social and cultural factors, and these may overlap, contributing to both conditions." “Bariatric Surgery May Improve Obstructive Sleep Apnea.” This article and post-test was another CME offering. It examined the obstructive sleep apnea study just reviewed here, which had concluded bariatric surgery was not an effective treatment for obstructive sleep apnea. While the information was all there in the Medscape review for doctors who took the time to read the text carefully and critically analyze it for themselves, busy practitioners who might be tempted to skim the highlights, catch the headline and Medscape’s Pearls for Practice, were likely left with a slightly different impression of the study’s findings. It’s Pearls for Practice said: Weight loss after bariatric surgery is associated with reductions in AHI in severely obese patients. And weight loss after surgery is associated with a high incidence of persistent OSA, snoring, and discontinuation of CPAP. Finally, we come to the largest continuing education course in this issue. For the next year, doctors and nurses can get CME/CE credits for taking this course on migraines in teens. It was authored by Dr. Kathi Kemper, M.D., MPH, the Caryl J Guth Chair for Complementary and Integrative Medicine at the Wake Forest University School of Medicine and the Director of the Program for Complementary and Integrative Medicine at Wake Forest University Baptist Medical Center. This article was impossible for any medical professional to grasp what the actual research evidence shows on alternative modalities’ effectiveness for migraine headaches. Select studies were mentioned, but described in such a cursory manner so as to provide so little information on methodology, the statistical significance of the findings, or a perspective of the body of evidence, for any professional to determine the information’s reliability. Attaching a lengthy, impressive-looking bibliography also does not mean those 98 references actually credibly supported the paper’s assertions, are representative of the medical literature on the issue, or that those studies had been carefully evaluated. [S]cientific studies suggest that a number of complementary therapies can help reduce the frequency and severity of migraine headaches. These include: stress management practices such as biofeedback, autogenic training, guided imagery and relaxation; regular exercise; correcting deficiencies of essential nutrients such as magnesium; certain dietary supplements such as vitamin B2 (riboflavin), coenzyme Q10, fish oil, butterbur, feverfew, and ginger; and therapies such as massage and acupuncture. Additional research is needed to evaluate the cost-effectiveness of widely used therapies such as chiropractic therapy. There were so many mixed messages throughout this article that it was confusing, but mostly troubling because of the consistency with which readers were led to believe alternative modalities were considerably more beneficial than the evidence supported. And no matter what the findings, additional research was repeatedly said to be warranted. “Randomized controlled trials suggest that acupuncture has significant benefits for both adult and pediatric patients with chronic headaches — both migraines and tension-type headaches,” Dr. Kemper stated. But she went on to admit that the effects were no different than those produced by a placebo — hence, they weren’t actually “significant”: “According to a recent study, benefits persisted for 6 months of follow-up, although sham treatment produced similar effects.” Yet, she still concluded acupuncture to be among the alternative modalities than can help migraines. Medical professionals reading this article, however, were left completely in the dark as to the balance of benefits to risks, especially for growing, young people. In fact, none of the studies presented for any of the physical modalities had actually tested them on kids (except for one acupuncture study mentioned finding null results, with no safety analysis), yet young people was the patient population in this paper. Biostatistician Paul. W. Stewart, Ph.D., at the University of North Carolina in Chapel Hill, said the term ‘pilot study’ is widely misused and some think it’s a term for a small study. But it refers to “a preparatory investigation that is in no way intended to test the research hypotheses of interest,” he said. For instance, it can assess costs and financial feasibility of a later full-scale study, test the research hypothesis and validate the scientific approach, or gather information about variances and correlations needed for statistical analysis of the power and sample size need in a later full scale study. Most pilot studies are not normally publishable, he said, and often camouflage a small, poorly-conducted study. Most importantly, they don’t excuse the researcher from the need to perform a full study to credibly test an intervention in a randomized, controlled clinical trial. The misconceptions of pilot and small-scale studies are described in more detail here. “Several case series and small studies have demonstrated the effectiveness of osteopathic therapy in preventing tension-type headaches,” Dr. Kemper wrote. While she went on to say that additional controlled studies are needed to evaluate the long-term effectiveness, professional nurses and doctors were left merely to trust her claims that effectiveness had been adequately demonstrated to support continued research. While Dr. Kemper said in her summary that armed with the information in this Medscape article, “clinicians can provide appropriate, evidence-based advice,” this article neglected to even mention the major evidence-based critical reviews recently issued from reputable expert panels — all of which could provide professional nurses and doctors with a much sounder overall picture of the evidence. While such expert systematic reviews [as opposed to meta-analyses] aren’t infallible, they can help us see the strengths and weaknesses in the research, what the body of evidence to date shows, and help us to weigh the benefits and risks associated with various clinical interventions. Evidenced-based treatment recommendations are not yet possible regarding the use of hypnosis, acupuncture, TENS, cervical manipulation, occlusal adjustment, and hyperbaric oxygen as preventive or acute therapy for migraine. The body of evidence is limited and problematic. The AAN noted that the “seven small trials of acupuncture yielded mixed results,” citing methodological problems, such as unreported statistical significant or studies unable to show any statistical differences at all between acupuncture and a sham (fake placebo) intervention. “A single trial of cervical mobilization (oscillation of a joint within its normal range of movement) and cervical manipulation (movement of a joint beyond its normal range of movement) provided little support for the use of these interventions for patients with chronic headache,” they concluded. A 2001 Bandolier systematic review of clinical trials on spinal manipulation for headaches concluded “there is no evidence of specific benefit with chiropractic for headache,” with studies showing no consistency over control groups using sham therapies or other interventions. The reviewers were unable to determine if effects observed were due to chiropractic or other nonspecific factors. They also concurred with a recent Cochrane Collaborative review on acupuncture for idiopathic headaches, stating that the “clinical bottom line” is: “There is no evidence that it works, and not a single trial was of sufficient quality or validity and size, and was positive.” They cautioned medical professionals about the dangers of drawing incorrect conclusions from systematic reviews that don’t take into consideration the “quality, validity and appropriateness of the application and method of acupuncture used” in studies when evaluating the effectiveness of acupuncture. It’s easy to be led astray by simple tallies on one side or another. There have been several systematic reviews of complementary therapies for migraine or migraine-type headaches, mainly but not exclusively for prophylaxis to prevent headaches. The stark message is that these do not work, or there is no evidence that they do work. What we know from both homeopathy and acupuncture is that the better the trials, and the more the trial designs minimise bias, the more negative are the results. These interventions are a waste of money and time. The one exception may be feverfew for migraine prophylaxis. In common with a number of other herbal remedies, there is some evidence that it works, but even here that is not entirely convincing. Feverfew is a chemical, or mix of chemicals, and may not be without adverse effects. Biofield therapies such as therapeutic touch, healing touch, and Reiki are widely used to treat tension and migraine headaches. Numerous anecdotes attest to the benefits of these therapies for headaches, and no side effects have been reported. One study, published in 1986, showed that therapeutic touch was linked to reduced pain in tension headaches. Examining how the original research findings on therapeutic touch were presented in nursing literature, he found that authors often cited only the studies with favorable findings. In many reviews, he said research was claimed to have indicated efficacy when the actual findings had shown it to be ineffective. When citing studies with contradictory findings, he found only the favorable findings were usually mentioned in reviews of the literature and every single review had made at least one significant error in representing the research. He concluded that accurate presentations of the research are imperative for clinicians to make evidence-based decisions and to ensure that limited healthcare resources are used safely and effectively. These principles apply equally to following popular beliefs in alternative therapies to obesity. Regrettably, such calls for scientific grounding continue to go unheeded by many in nursing leadership. A recent review of the research on healing touch exemplified Dr. O’Mathuna’s findings. Nurses at the University of Texas Houston Health Science Center reviewed more than 30 studies on therapeutic touch and while they found no “generalizable results,” they still claimed there was a foundation to justify continuing to test “its benefits.” This was followed two years later by a pilot study on healing touch for pain in 12 people with spinal cord injury, led by the same author, published in the Journal of Holistic Nursing. [T]he authors described the appearance, size, shape, and purpose of energy fields. They reported that the energy fields of many of the participants were damaged, absent, or detached but improved with treatment. The authors did not explain how the [healing touch practitioners] were able to see the energy fields, how the energy fields were measured, or how the improvements were measured. The lack of concrete measures leaves in question the motives and psychological health of individuals who can see things that only other individuals with similar belief systems can see. Finally, the authors suggested using complimentary pain-relief methods in a future study. They suggested that multiple methods might provide more pain relief, decrease participant disappointment, and prevent participants from focusing on healing touch as the “failed” method of pain relief. The authors indicated that they did not want the participants to focus singularly on their pain experience. This was confusing. If the goal of this research was to find pain-relief methods, then a focus on the pain experience seemed appropriate. In addition, why examine healing touch as a pain-relief method in a future study if other methods must be used to provide the pain relief? Perhaps the multiple pain relievers were to camouflage the lack of pain relief effectiveness from healing touch. While the Journal of Holistic Nursing is among the list of nonrecommended medical journals at Quackwatch, Medscape isn’t, but could be a contender. Most nurses are smart, caring, hard-working professionals. 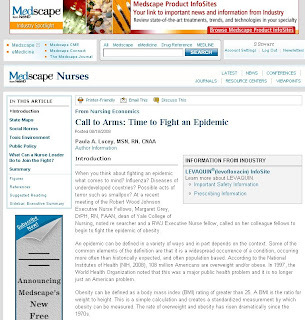 Rather than follow a Call to Arms for nurses to get behind beliefs, policies and clinical interventions that have no credible scientific evidence to support their safety or effectiveness, how about a Call to Action for nursing professionals to devote themselves to the highest standards of scientific evidence-based care for all of our patients and members of our communities? Imagine what advocates for people nurses could really be then. Sugar fears, a few posts: here, here, here, here, here, here and here. Myths of couch potato kids, a few posts: here, here, here, here, here, here, here and here. Magical fruits, a few posts: here, here, here, here and here. Childhood obesity initiatives, a few posts: here, here, here, here and here. 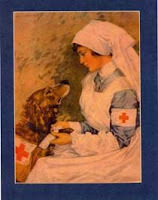 Therapeutic touch and nursing education, a few posts: here, here, here, here, here and here. Costs of obesity, a few posts: here, here, here and here. Dr. Leanne Barron, a Queensland doctor, again speaks out on behalf of children being harmed by “healthy eating” campaigns and today's childhood obesity interventions. While one would assume that the schools' "healthy eating" programme would have positive effects, increasing numbers of children and teenagers are presenting to eating disorders services in Queensland with an initial history of "trying to be healthy". Last year, I had two eleven year old patients who had independently decided to give up cholesterol for their New Year's Resolutions — by August and September, they were in hospital with anorexia. Similarly, a majority of older anorexics are beginning with a "healthy eating plan"... Given that anorexia has a five year mortality rate of 20% — higher than many cancers — we need to be very cautious in blanket approaches to obesity. The torment which children not conforming to the thin "ideal" portrayed by the media is undergoing is cruel... Our current programme is contrary to all notions of tolerance and appreciation of individual body size, and cartoons and the media are now equating "fat" with "bad". By all means in schools we should be making available and accessible healthy foods, but we also need to teach children that eating is not bad, and that skinny is not necessarily healthy. Home baking is to be encouraged, eating the occasional take-away meal is not a problem and should not be treated as a crime. Food has a special role in society, and eating should be enjoyable. Treatment of eating disorders is extremely difficult - prevention must be paramount. Dr. Barron put “healthy eating” in quotations for the same reasons it’s done at JFS. Why aren’t more medical professionals speaking out about the unsoundness of “healthy eating” and obesity prevention promoted in schools? Has it become so politically correct that supporting fruits and vegetables is easier than advocating for the children? News reported today that the Canadian Medical Association closed its 141st annual meeting, formally adopting a major anti-obesity resolution. Background information on CON can be found here. As readers may also remember, CON is based at the University of Guelph, which now offers a degree in fat. Its attention to science was exampled here. Readers can, no doubt, put the pieces together. On Friday, the Food and Drug Administration published its final rule which will permit fresh and bagged iceberg lettuce and spinach to be irradiated to help protect consumers from the disease-causing bacteria behind the most common causes of foodborne illnesses, Salmonella and Escherichia coli 0157:H7. Food irradiation enables these susceptible vegetables to be safer to eat, while retain their nutrient value and slow spoilage, according to the FDA. While this was greeted as good news by most medical professionals and food scientists, almost immediately a flurry of fears and old myths resurfaced that had, or so most toxicologists thought, been put to rest more than a decade ago. Fear is never helpful when you’re trying to make informed decisions for you and your family. Information is. Dusting off fifty years of research and scientific expert reviews on food irradiation from forty countries — the sheer number of studies filling an entire file cabinet can’t be covered individually — let’s sum up the body of evidence behind the most common, and enduring, scares about food irradiation. We’ll start with the conspiracy theories. Fact: Food irradiation is not a plot by the government to use up nuclear waste, cesium-137. Helpful details: Cesium-137 isn’t used by any of the food irradiator facilities anywhere in North America. Cobalt-60 is used, which is specially made from natural cobalt at the Chalk River Laboratories of Atomic Energy of Canada Ltd. Cobalt-60 not a nuclear waste. According to Dr. Elsa Murano of the Center for Food Safety and Dr. Peter Murano at the Center for Food Processing Technology, both with Iowa State University: “Food irradiation began as a result of the ‘Atoms for Peace’ program established by President Eisenhower in the early 1950s.” It was an effort to find peaceful, beneficial ways to utilize the advanced technological discoveries associated with atomic energy, not use up radioactive waste. 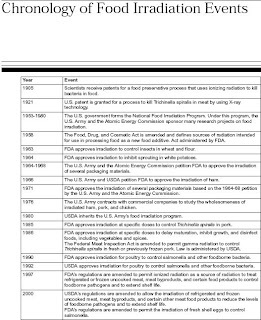 The National Food Irradiation Program officially began in 1953. Fact: Food irradiation does not creates nuclear waste or risk a nuclear disaster. Helpful details: Cobalt-60 doesn’t produce neutrons that could activate materials or make them radioactive, nor can it start a fission chain reaction. A nuclear meltdown is not even possible, explains the American Nuclear Society. Cobalt-60 doesn’t create radioactive waste. Very little cobalt 60 is needed at each radiator facility and can be used for about 15 to 20 years before the cobalt “pencils” are returned to Canada where they can be re-activated and reused or stored. Shipments are made in special hardened steel canisters that have been designed and tested to survive crashes without breaking. Cobalt is a solid, and even if somehow something should break, it will not spread through the environment, as the UW Food Irradiation Education Group explains. According to the Canadian producer, if they’d decided to store all of the cobalt-60 they’d supplied to the world in 1988 (about 100 million curies) rather than recycle it, it could have been stored in a 1.25 cubic meter space (the size of a small desk). Irradiation is a safe and carefully regulated and monitored technology. Facilities in the U.S. using gamma sources must be licensed by the U.S. Nuclear Regulatory Commission, must meet requirements of the Occupational Safety and Health Administration and the Environmental Protection Agency to ensure that workers and the environment will not be adversely affected in any way, and are subject to strict inspection control, according to the American Nuclear Society. Cobalt-60 is also used in over 600 hospitals and medical radiation treatment centers and, after forty years and over a million isotope shipments, there has not been a single accident or radiation exposure to the public or environment, according to the Centers for Disease Control and Prevention. 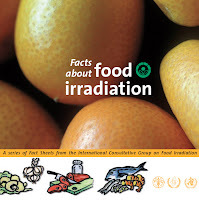 Fact: Food irradiation does not make food radioactive. Helpful information: Irradiated foods are not radioactive foods. From science class you may remember that gamma rays are the short high-energy waves at the upper end of the electromagnetic spectrum and are similar to ultraviolet light and microwaves. Food never touches any radioactive material during the process. Irradiated foods and their packaging are not made radioactive because most of the energy simply passes through the food, much like microwaves pass through food, leaving no residue, explains Joe Sebranek, Ph.D. with the Food Science and Human Nutrition Department of Iowa State University. It’s also just like your teeth and bones are not radioactive after you have an X-ray. The amount of radiation is measured using a unit called the Gray and low levels are used on food. Reviewing the evidence, international health and safety authorities have supported the safety of irradiation for all foods up to a dose level of 10,000 Gray, which is equivalent to the heat energy required to increase the temperature of water by 2.4ºC. While higher doses aren’t harmful, they can change the sensory qualities of foods. That’s why food technologists work to carefully balance the optimum dose — they want to use the least amount of radiation necessary to accomplish the objective, while minimizing the sensory effects on food. Clearly, it’s of no benefit to food producers to have food that doesn’t taste, smell or look good, and not all foods lend themselves to irradiation. Irradiation, for instance, isn’t used on liquid foods; so it makes the whites of eggs slightly thinner like an older egg and milk taste slightly different. But when used appropriately on solid foods, the irradiated food is indistinguishable, or even better with storage, than nonirradiated foods. Low-dose irradiation — up to 1,000 Gray (is used to inhibit sprouting; delay ripening; insect disinfestation; parasite inactivation). Medium-dose irradiation — 1 to 10,000 Gray (reduces spoilage microorganisms and reduces or eliminates disease-causing microorganisms). High-dose irradiation — above 10,000 Gray (can reduce microorganisms to the point of sterility). Fact: Food irradiation has been extensively tested and shown safe. Helpful facts: Food irradiation has the longest history — more than 55 years — of intense scientific research and testing of any food technology in the world and found to not be harmful in any way. It may actually be surprising to learn how long food irradiation has been studied since the process was first patented for killing bacteria in food back in 1905. As the CDC explained, the extensive safety studies have also been conducted on people, as well as well-controlled trials of animals in several different species fed all-irradiated food diets for several generations, and still found no evidence of adverse health effects. Sadly, no amount of evidence will be able to reassure some, and there will never be enough science to disprove a negative for them, but the body of the soundest evidence continues to not support worries of harm. Fact: Irradiated food is not new. Helpful information: Most disposable medical devices are sterilized using radiation, as are products such as tampons, baby bottles, cosmetics, food packages, juice cartons and wine corks. But foods and spices have been safely irradiated for decades, both in the United States and at least 38 major countries in the world. According to the UN, several countries, including Belgium, France, Hungary, Japan, Netherlands and USSR are irradiating grains, potatoes, onions and other products on an industrial scale. Programs for irradiating potatoes, onions, and garlic were begun in Argentina, Bangladesh, Chile, China, Israel, Philippines and Thailand. China has sold irradiated apples since the early 1990s, for example. Irradiation of wheat and wheat flour was approved in the U.S. in 1963, and since then irradiation has been expanded to include potatoes in 1964 to inhibit sprouting, spices and seasonings in 1986 for sterilization, dehydrated and dried foods in 1986 to control insects and improve storage, pork in 1985 to kill Trichina parasites, fresh fruits and vegetables in 1985, poultry in 1990 and 1992 to reduce bacterial pathogens, meats in 1997 and 2000 to control foodborne pathogens, and eggs in 2000, according to the CDC Division of Bacterial and Mycotic Diseases and the GAO. NASA has been irradiating foods for astronauts to consume in space since the 1970s. From Florida strawberries and onions to Hawaiian tropical fruits (papaya, rambutan, lycheese, cherimoya, irradiated produce has been safely eaten since the early 1990s. As the 2000 GAO Congressional Report on the scientific studies on food irradiation said, about 97 million pounds of food are irradiated each year in the United States. The largest category are herbs, spices and seasonings, followed by fruits and vegetables and poultry. As toxicologist Dr. Kathryn E. Kelly noted, “we are all eating a lot of irradiated foods these days.” Never the less, only a fraction of the total amount of foods consumed that could be irradiated, is, noted the GAO. Fact: Food irradiation helps prevent food waste and spoilage, reduce the need for chemical fumigants, and can help feed more of the world’s people. Helpful information: According to the UN Food and Agriculture Organization, about 25% of all food produced worldwide is lost after harvesting because of insects, bacteria and rodents. “The use of irradiation alone as a preservation technique will not solve all the problems of post-harvest food losses,” explained the ICGFI, but it can play an important role in reducing food losses, as well as cut dependence on chemical pesticides. “Many countries lose huge amounts of grain because of insect infestation, molds and premature germination,” reported the FAO. 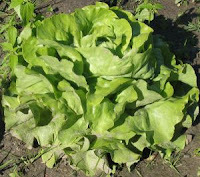 Sprouting, for example, is the major cause of losses for roots and tubers, which are important staples. These losses not only mean large financial losses for struggling farmers, but can mean more people can go hungry. Many spoilage microorganisms, such as Pseudomonas spp are sensitive to irradiation and when irradiation is applied to poultry, for instance, not only is Salmonella eliminated, but most of the spoilage bacteria is, too. “This will double meat shelf-life, provided it is kept below 5ºC,” according to the ICGFI experts. For highly perishable foods, food irradiation is proving not only highly desirable, but critical, said ICGFI. Low-dose irradiation can slow ripening and control fungal rot, such as in bananas, mangoes, papayas and strawberries. The fresher the food, the more effective irradiation is in improving shelf-life. Strawberries, which frequently spoil by Botrytis mold, can have a shelf-life of up to 14 days (stored at 10ºC), and mushrooms’ shelf-life doubles, with irradiation. “The chief problem encountered in preservation of grains and grain products is insect infestation,” said ICGFI. Most of the pests of concern (beetles, moths, weevils and others) cause extensive damage during storage, but irradiation has proven an effective alternative to methyl bromide, the most widely-used fumigant, which is being phased out because of environmental concerns. The irradiation doses needed are low. Irradiation is now being used around the world to prevent losses by insects in stored grains, pulses, flour, cereals, coffee beans, dried fruits, dried nuts and other dried food products, including dried fish. Irradiation has helped ensure safer international trade by preventing the spread of insect pests. Many countries require quarantine treatment of imported fruits, but these treatments are increasingly being banned, such as the use of ethylene dibromide. Irradiation has proven to be a very effective alternative to control fruit fly and other insect problems without chemical fumigants, and has been used in the U.S. since 1996. Around the world, during times of the year when local produce is not available, in order to provide people with foods and staples, such as potatoes, onions, yams and other plant foods that sprout, long-term refrigeration is needed. But that’s costly, especially in warmer regions of the world. An alternative is chemical sprout inhibitors, such as maleic hydrazide, propham or chloropropham, but these don’t work well under tropical conditions and can leave residues on the produce, said the ICGFI. Very low irradiation inhibits sprouting on these foods without leaving residues, while allowing them to be stored at higher temperatures and enable them to reach and feed more people. Facts: Food irradiation can save lives and help prevent miscarriages, congenital toxoplasmosis and other catastrophic illnesses. This past week’s FDA announcement comes as Tulsa mourns the loss of a 26-year old man from E.coli foodborne illness and Canadian health officials announce that the death toll from listeria in processed meats has reached twelve. The CDC has estimated that irradiation of high-risk foods could prevent up to a million cases of bacterial foodborne disease that result in the hospitalization of more than 50,000 persons and kill many hundreds each year in North America. Dr. Robert V. Tauxe, medical epidemiologist and chief of the Foodborne and Diarrheal Diseases at the CDC, brought clarity to those health benefits in a 2001 paper where he illustrated the effects if half of just meat and poultry would be irradiated in our country. He estimated 8,500 hospitalizations would be prevented; along with 881,625 cases of foodborne illnesses just from the E. coli, Campylobacter, Salmonella, Listeria and Toxoplasma. Additionally, 6,660 catastrophic illnesses would be prevented — and these can’t be taken lightly — at least 250 cases of hemolytic uremic syndrome, 250 cases of group B strep, 6,000 cases of reactive arthropathy, 60 miscarriages, and up to 1,000 cases of congenital toxoplasmosis. What many consumers may not realize is that irradiated foods are actually preferable for significant numbers of the population, precisely for their safety benefits. As the GAO report noted, irradiated foods are specifically purchased by healthcare and food service establishments, from nursing homes and hospital, to school systems and restaurant chains, to help ensure the safety of people with weakened immune systems whose lives could be jeopardized by a foodborne illness, or to prevent widespread outbreaks. For cancer patients, fragile elderly in nursing homes, bariatric surgery survivors, HIV/AIDS patients and other people with suppressed immune systems or compromised gastrointestinal systems, foodborne illnesses can be life threatening. Medical professionals often advise them to avoid fresh produce and raw and organic foods — reminding them that even the most wholesome foods from nature isn’t sterile. Irradiated foods have enabled these vulnerable patients to be able to enjoy fresh foods more safely. Another cost of foodborne illness are the financial hardships. Not only do foodborne illnesses pose a serious threat to human health, they are an important cause of reduced economic productivity, according to studies by the CDC in the early 1990's. They showed that foodborne diseases caused by pathogenic bacteria, such as Salmonella and Campylobacter and by Trichinae and other parasites, claim an estimated 9,000 lives annually and cause 24- to 81-million cases of diarrheal disease in the United States alone. Economic losses associated with these diseases were estimated at between $6.5 billion and $33 billion. The idea that we don’t need irradiated foods isn’t supported by evidence. Facts: Food irradiation can be an important aspect of food safety procedures and an effective critical control point in the Hazard Analysis and Critical Control Points (HACCP) system. Helpful information: All food, no matter how it’s grown, is susceptible to air- and soilborne bacteria, fungi and insects. While, undeniably, we have the safest food supply in the history of our country, food scientists are continually working to make it safer. Since 2004, there’s been a 43% decrease in the E.coli contamination of ground beef samples tested by the USDA, according to Dr. Maki, writing in the New England Journal of Medicine. This decrease has followed intensified federal regulatory efforts to improve food-safety systems and microbiological testing by producers. But achieving further improvements is unlikely if we continue to rely solely on our current strategies, he noted, and don’t accept food irradiation on a wider scale. Fresh produce, like lettuces and spinach, is especially challenging, because no amount of washing reliably eliminates the risk of contamination naturally found on fresh produce plucked from the soil, explained Dr. Maki. Unlike meats, which can be cooked to kill pathogens, most fresh produce is eaten raw and doesn’t have a “kill step,” to ensure safety, added the Institute of Food Technology. 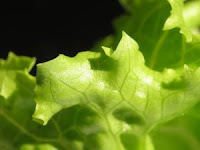 Recent E.coli 0157:H7 and salmonella outbreaks, and recalls of spinach, lettuce, and other leafy greens in 2006 and 2007, have raised public concerns of produce safety. “In 2006, there were an estimated 50 billion servings of green, leafy salads served in this country, and there were approximately 1,200 people made ill,” said Sam Beattie, Extension food safety specialist and an assistant professor of food science and human nutrition at Iowa State University. While the risks of food-borne illness from produce are already extremely low, he said, irradiation is one more tool to ensure safety. As the Institute of Food Technology notes, food irradiation has been shown effective on the bacterial pathogens on fresh produce that most make people sick, such as E.coli O157:H7, Salmonella, and Listeria monocytogenes, and the pathogens that make food spoil. Irradiation that results in a 1-log reduction in bacterial pathogens can be achieved at the lowest levels of radiation. “The majority of serious foodborne illnesses resulting in hospitalizations and deaths (60% and 72%, respectively) come from bacterial pathogens,” said the IFT. Meaning, irradiation is most effective for the elimination of the most serious safety threats for consumers. Fact: Food irradiation can never replace existing food safety and sanitation practices, or be used to pawn bad food off onto consumers. Scares: Trying to convince us that food irradiation could be used to hide disgusting, filthy food and sell us rotted, poor quality or dangerous food may sound frightening, but defy the scientific reality of how food irradiation works. But we hear horror tales about slaughterhouses and food processing plants, filled with unsavory depictions of feces, urine and pus. Helpful facts: Food processes such as heating, freezing, chemical or fumigation treatment, and irradiation are not intended as substitutes for good hygienic practices, explain the ICGFI experts. “Both at the national and international levels, good manufacturing practices (GMPs) govern the handling of specific foods and food products.” Clean practices must be followed in the preparation of food for irradiation. In fact, irradiation requires a stricter adherence to GMP in order for the product to be irradiated, ICGFI pointed out. These assurances are not simply government or corporate rhetoric, but because of how irradiation works and how irradiation doses are calculated. 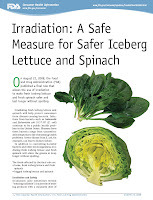 “For irradiation to be effective, the food that is to be irradiated already needs to be clean,” explains the CDC. It won’t work effectively when food is highly contaminated. Also, “the more initial contamination there is, the higher dose of irradiation it would take to eliminate possible pathogens,” which means the more the taste and quality of the food would be affected. And then, no one would want to eat it. In determining the amount of irradiation needed to kill 99.9% of the pathogens on the food, explains the CDC, food scientists measure D-values for that disease organism and how many organisms are present in the food. The, the irradiation technician can determine how much irradiation it will take to kill all of the pathogens present. They want to use the least amount of irradiation possible, not only to conserve costs, but to minimize any sensory effects on the food. “Actually, combining irradiation with increased sanitation is advantageous because less contamination means lower doses of irradiation would be needed, decreasing the chance of changes in taste or smell of a product,” explained Dr. Robert V. Tauxe, medical epidemiologist and chief of the Foodborne and Diarrheal Diseases at the Centers for Disease Control and Prevention, Atlanta, Georgia, in a 2001 issue of Emerging Infectious Diseases. It is impossible for irradiation to be used to pass along bad food to consumers, as many might fear, because irradiation does not enhance the quality of food, but only helps to make it safer. That means, if it wasn’t fresh or good tasting before treatment, it won’t be afterwards. Repeated studies have confirmed that irradiation cannot mask off flavors or odors of spoiled products. But irradiation does enable farmers to let produce fully ripen to its peak flavors and nutritional value before being irradiated to help it retain its best qualities while enroute to market or storage. Farmers aren’t left to pick produce underripened and firm to help it withstand the trip or last long enough to be consumed. The quality of irradiated foods can quickly surpass nonirradiated foods with storage. Fact: Food irradiation has minimal effects on the nutritional quality and wholesomeness of foods. Helpful information: Some of the most interesting findings of research on irradiated foods are on the nutrients. Irradiation is sometimes called cold pasteurization, said the ICGFI, because it does much the same thing as heat pasteurization, but without increasing the food’s temperature and leaves the food closer to its natural, fresh and unprocessed state. In contrast, chemical safety treatments can leave residues, and heating changes its texture, color and flavor and, well, cooks it. Because irradiation at the doses used on food [don’t be fooled by studies that try to nuke foods beyond edibility, attempting to show how irradiation can be harmful] doesn’t raise the temperature of the food being processed hardly at all, nutrient losses are minimal, too. In fact, they’re largely less than the normal losses that occur with other methods of food preservation, such as drying, canning or heat pasteurization, or during cold storage. As the GAO review of the research explained, the main components of food — carbohydrates, protein and fats — change little during irradiation. “Vitamin loss corresponds to that in foods that are cooked, canned or held in cold storage” — all of which are perfectly nutritious. As the IFT explains, vitamin B and C are the most sensitive to heat, yet, for example, studies have found no significant differences in the vitamin C content of irradiated and nonirradiated oranges with storage. The marginal losses of vitamins with irradiation are not clinically meaningful or to the extent that it would result in any adverse effect on the nutritional status of individuals or populations, said the FAO, IAEA and WHO. We get vitamins from a wide range of foods in our diet. The National Health and Nutrition Examination Survey, for instance, found negligible losses for thiamin, riboflavin and niacin in meats ranging from 0.01% to 1.5%. “Irradiation can reduce ascorbic acid (vitamin C) in some vegetables, but the decrease is generally insignificant, given the natural variation observed in fresh produce, and does not exceed the decrease seen during storage,” reported the IFT. “Irradiation converts ascorbic acid to dehydroascorbic acid, both of which exhibit biological activity and are readily interconvertible.” And, interestingly, irradiation can also increase the phenolic content of some produce, meaning irradiation increases its antioxidant capacity. “Many concerns about irradiation harken back to earlier objections to pasteurization and retort canning,” said Dr. Tauxe. Fact: Food irradiation does not create dangerous cancer-causing compounds and eating it has not been shown to cause cancer. Helpful research: As the ICGFI and GAO report have noted, over half a century of international scientific research — on multiple species, humans and multi-generational — has failed to support concerns of irradiated foods or that they cause cancer. The irradiation process produces very little chemical change in food, none of which have been found to be harmful or risky. As they explain, the substances produced by irradiation are like those in cooked food. Don’t let words scare you into fearing that irradiation causes uniquely dangerous substances to be created. Radiolytic does not mean radioactive or toxic in some way. It simply means that these substances are produced by irradiation, in the same way that thermolytic products are produced by cooking and heat processing. As these scientific experts explain, most of these radiolytic products are the familiar substances found naturally in nonirradiated foods or that are also produced in foods when they’re cooked. “The safety of these radiolytic products has been examined very critically, and no evidence of their harmfulness has ever been found.” The FDA has estimated radiolytic compounds are formed in amounts less than 3 parts per million. Free radicals disappear by reacting with each other in the presence of liquids, such as saliva in the mouth. Consequently, their ingestion does not create any toxicological or other harmful effects. This has been confirmed by a long-term laboratory study in which animals were fed a very dry milk powder irradiated at 45 kilogray, more than four times the maximum approved dose for food irradiation. No mutagenic effects were noted and no tumours were formed. No toxic effects were apparent in the animals over nine successive generations. Similarly, a toast of bread (unirradiated), which actually contains more free radicals than very dry foods that have been irradiated, can be expected to be harmless. Radiation kills only rapidly growing cells — those of insects or pathogenic bacteria — but there is little effect on the food itself because the cells in food are not multiplying. But fears have circulated since the 1970s that eating irradiated foods can cause abnormal chromosomes [DNA damage] and cancer. The source of this fear is a group of scientists from the National Institute of Nutrition (NIN) in Hyderabad, East India, who cited studies on rodents and monkeys, and one study on 15 severely malnourished children hospitalized for kwashiorkor, in which five children were fed bread made with freshly-irradiated wheat for six weeks. It’s worth taking a look at the source of this fear. Can eating irradiated food cause development of abnormal chromosomes? NO. The issue of abnormal chromosomes as a result of eating irradiated food has been more sensationalised than any other. The claims focus on the incidence of polyploidy, which is alleged to result from consumption of products made from wheat immediately after irradiation. Polyploidy means the occurrence of cells containing twice or more the number of chromosomes. Human cells normally have 46 chromosomes. If they are polyploid they could have 92 or even 138 chromosomes. The incidence of polyploid cells is naturally occurring and varies among individuals, and even in one individual from day to day. It can also vary from organ to organ within one individual. The biological significance of polyploidy is unknown. When undertaking studies on polyploidy, it is important that many thousands of cells are counted in order to see the effect of a treatment. As polyploid cells are rare, it is essential that enough cells are observed before any valid conclusions can be reached. It can also be extremely difficult to recognise polyploid cells; if normal (diploid) cells happen to be superimposed on the microscope slide they look very much like one polyploid cell. Media reports have frequently cited results published in the mid-1970s by a group of scientists from the National Institute of Nutrition in Hyderabad, India.... When the report is examined more closely, among other shortcomings, it is found that only 100 cells from each of the five children in each group were counted — an incredibly small sample upon which to base any conclusion. In addition, although the results in each group were averaged, there is no indication of the actual incidence in each child. No polyploidy at all was seen when wheat was irradiated and stored for 12 weeks before consumption. A number of institutions in India and elsewhere have tried to reproduce the results found at NIN based on information made available to them. Some used absorbed radiation doses as high as 45,000 Gray...showed no effect from consuming the irradiated wheat. None of the studies carried out came up with results similar to those found at NIN. In 1988 D. MacPhee and W. Hall, advisers to an Australian Parliamentary Committee Inquiry into the use of ionizing radiation, examined the NIN results. They concluded that the inability of other researchers to replicate the NIN results casts doubts upon the reliability of the NIN conclusions; that polyploidy is a poor measure of genetic damage; and that "major biological implausibilities" exist in the chain of occurrences "which allegedly links the consumption of irradiated food with the occurrence of genetic events". Of course, food irradiation is not a cure-all or the only technique used by food scientists and producers to help ensure the safety of our food, nor does it absolve us from our role of careful food handling in our home kitchens, but it can be a valuable additional tool for helping us keep our families safe. Most importantly, knowledge can help us to make more informed decisions.